Remember that scene in Jurassic Park when Jeff Goldblum’s character, Dr. Ian Malcolm, explains chaos theory to Dr. Ellie Sattler by demonstrating how drops of water never slide down her hand the same way twice? That’s kind of like moving day. When it comes to moving day, anything can happen. What if your deadbeat friend who was supposed to help abandons you? What if a bunch of your boxes get soggy and fall apart? What if there’s a bear? That’s chaos theory! We here at Storage Direct have seen plenty of move-in days go pear-shaped, which is why we’ve put together this list of supplies you should have on-hand to be ready for anything. When cowboys and girls need to corral their herd, they lasso those bovine! Think of yourself as a modern day cowboy or girl, but instead of herding cattle, you’re herding your furniture, lamps, and DVD collection. When it comes to keeping the things you’re moving from sliding around too much and getting damaged, it really helps to have rope, string, bungee cords, or rubber bands on hand. Tie together related boxes and you’ll not only keep organized, but also reduce the risk of damage. Use rubber bands or rope to fasten the drawers of your furniture closed, and you won’t have to worry about them flying off. Use packing, masking, or duct tape to seal your boxes, and they’re much less likely to fall apart. Having rope, tape, or a similar fastener on hand will also help if you have to make an emergency repair. Best of all, bungee cords and tape don’t tend to take up much space, so remembering to bring extra won’t weigh you down. Imagine you and the sucker you talked into helping you are moving a water cooler. Your buddy gets distracted by a scary bug and drops the water cooler. It bursts upon hitting the ground and now there’s water and bug guts everywhere. You don’t have a mop with you, and the floor’s basically underwater. If you can’t clean up the mess, your whole move-in day comes to a screeching halt. Even worse, you might damage your new home or your stuff. When you’re moving, make sure you have supplies for cleaning messes and clearing obstructions. Bring something to prop open doors and windows with. If the floor or ground is difficult to walk on or needs to be kept clean, consider bringing a tarp or something similar. If you can’t rely on heating or AC, bring something to keep your work space comfortable. If you’re moving at night, make sure you bring along adequate lighting. It’s also a really good idea to bring garbage bags along. If you’re moving stuff into a place where you’re going to stay, you’ll need cleaning supplies anyway, so you might as well have them at the start. Making sure all your stuff is packed and ready to go is only half of moving. 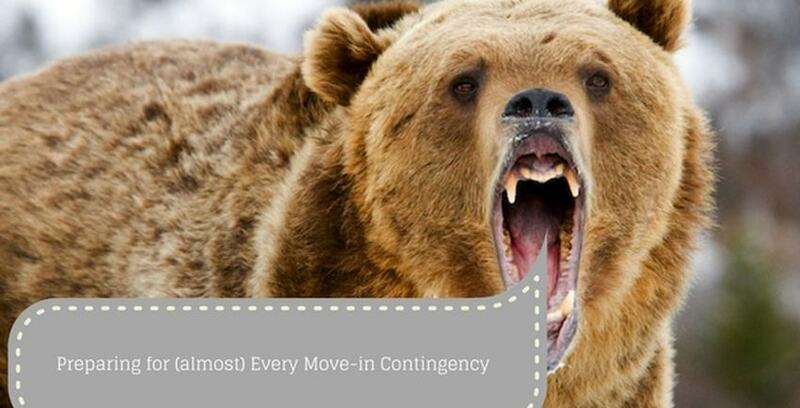 You have to make sure you are ready to move, too! Get a good night’s sleep. If you frequently work out, consider taking a day off to rest those muscles. Bring along plenty of water. Take breaks when anyone is tired or overheated. Make sure you don’t get so “in the zone” that you skip meals. If you can help it, try not to move while you’re sick. Dress appropriately, too. Don’t wear anything you’re afraid to get dirty, or that you might trip over or catch on something. Make sure your pants fit, or you may find yourself waddling around in your underwear until you put your couch down. If you’re going to be outside during the day, think about bringing sunglasses, a hat, and sunscreen. If it’s going to be cold, wear a jacket. Remember, you are your most valuable cargo. Unless you have a mint condition Amazing Spider-Man #1. Then you are your second-most valuable cargo, which is still pretty important. If there’s a silver bullet to conquering move-in problems, it’s this: bring two more of everything. Extra boxes, extra tape, extra dollies, extra padding, extra water, extra space. Take one more car than you think you need. Bring one more person than you think you need. If something goes wrong, like something breaks or someone can’t make it, you’ll be glad you did. A box tearing is a really annoying problem–unless you have another box ready to go! You don’t need three people to carry a couch, but when Danny’s wife gives birth two weeks early, you’ll be glad you brought his twin brother, Denny. Extra moving materials can be useful even if nothing goes wrong. A little extra packing material is useful for making your fragile furniture or art extra secure, and extra boxes will help you organize your home later. You can’t possibly prepare for everything that could happen to you during moving day. What you can do, however, is prepare as best you can and put your best foot forward. A good attitude is probably the best preparation you can have. If your new home is full and you realize you still have a ton of stuff to unpack, or if you’re just looking to get organized, get in touch with Storage Direct for all your self storage needs. If you want some more tips on moving, check out our other blog on the subject. Good luck with your move!